The Eagles have placed rookie cornerback Sidney Jones on the reserve/NFI list, per a team announcement. Consequently, Jones won’t be eligible to practice or play during the first six weeks of the season. Although Jones suffered a torn Achilles during his pro day in March, the Eagles still used a second-round pick on the former Washington standout. Jones looked like a first-rounder in the making after a stellar three-year Huskies career that saw him intercept eight passes. When the Eagles signed Jones, they inserted language in his contract that will pay him his full 2017 base salary even if he spends the season on the NFI list. Rambo, 27, had his first stint with the Bills in 2014 and 2015, appearing in a combined 19 games with eight starts. Last year, he joined the Dolphins midway through the year and racked up 39 total tackles, one interceptions, and three passes defensed in nine games (five starts). He returned to the Bills this July, but he was not able to stick for long. Metz, 26, spent the bulk of last year with the Qingdao Clipper of the China Arena Football League. He’ll presumably try to find another NFL gig, but he could also wind up getting a new stamp in his passport. Buffalo’s roster now stands at 83 players, meaning that they still have to cut 30 guys by Saturday afternoon. The Bills have announced the signings of eight free agents. Cornerback Marcus Cromartie headlines a group that also includes offensive linemen Cameron Jefferson and Jordan Mudge, defensive end Jake Metz, defensive back Bradley Sylve, and linebackers Jacob Lindsey, Junior Sylvestre and Eddie Yarbrough. Cromartie, who worked out for the Bills on Friday, only appeared in 21 games and made one start with the 49ers during his first three NFL seasons, but the 25-year-old could find more playing time as part of a largely untested Buffalo secondary. Thanks to the departures of Stephon Gilmore and Nickell Robey-Coleman, the club is lacking at corner aside from No. 1 man Ronald Darby, with Cromartie joining the likes of Kevon Seymour, Leonard Johnson and Marcus Roberson behind him. There’s not much at safety other than Micah Hyde, either, as the Bills jettisoned Corey Graham and Aaron Williams earlier this offseason. Another name of interest among these pickups is Metz, if only for where he played last season. Metz, 26, was with the Eagles for less than a week last summer, and he then went on to spend the year with the Qingdao Clipper of the China Arena Football League. The 2014 undrafted free agent from Shippensburg previously played arena football in the United States from 2014-15. Philadelphia just signed Metz, a former Arena League standout, several days ago. Bethel-Thompson, meanwhile, will seek to continue what has been a nomadic professional career. As Shorr-Parks observes, Gause’s release indicates that the club is prepared to open the season with only five linebackers, unless a trade is in the works. The Packers have released punter Tim Masthay to make room for fellow punter Jacob Schum, whom they claimed on waivers from the Buccaneers, Tom Silverstein of the Journal-Sentinel tweets. The Browns have signed punter Michael Palardy and waived free safety Tim Scott, Nate Ulrich of the Akron Beacon-Journal tweets. Palardy will battle it out with new acquisition Kasey Redfern. The Eagles announced that they have claimed defensive tackle Bruce Gaston off waivers from the Chargers. The Purdue product has played with five teams to date. Philadelphia also signed defensive end Jake Metz, according to a team announcement. Metz previously played with the Arena League’s Philadelphia Soul. The Buccaneers moved guard J.R. Sweezy and receiver Louis Murphy to the PUP list, Greg Auman of the Tampa Bay Times tweets. In related moves, linebacker Jeremiah George and safety Kimario McFadden have been re-signed. Contrary to previous reports, the Saints are not cutting linebacker Jeff Schoettmer (Twitter link via Josh Katzenstein of The Times-Picayune). The Steelers have moved their roster to 75 men by waiving safety Jacob Hagen, defensive tackle Devaunte Sigler and cornerback Kevin White, the club announced. The Colts had one open roster spot, and they’ve filled by signing safety Alden Darby, per a team announcement. The Bears have waived rookie cornerback Kevin Peterson, tweets Brad Biggs of the Chicago Tribune. The Eagles will be taking a look at a pair of AFL standouts next week. ESPN.com’s Adam Caplan tweets that the team will be bringing in Philadelphia Soul players Darius Reynolds and Jake Metz on Monday. 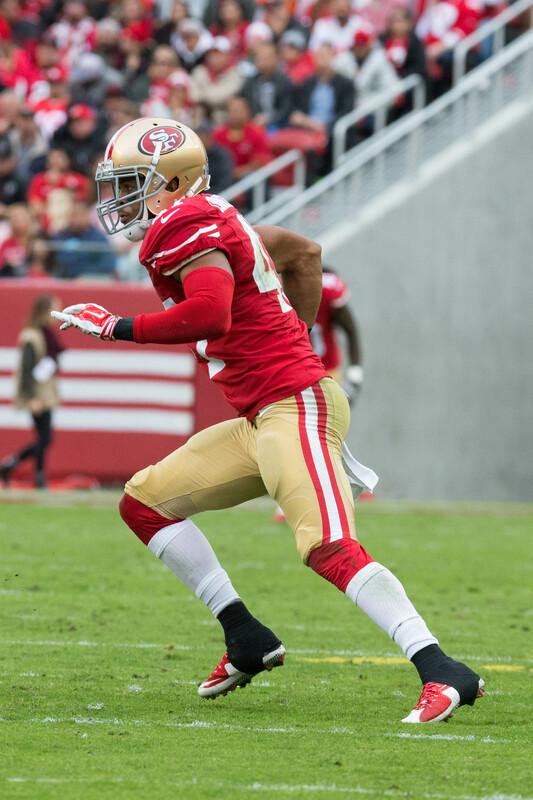 Reynolds, a 27-year-old wideout, went undrafted out of Iowa State in 2012. He briefly caught on with the Packers, but he was subsequently released following a failed physical. Over the past five seasons, the 6-foot-2 receiver has bounced around the Arena Football League. His best season came in 2014 with Iowa, when he compiled 126 receptions for 1,885 yards and 39 touchdowns. Last season, the receiver finished with 112 receptions with 1,447 yards and 38 touchdowns. Reynolds also has experience in the running and returning game. Metz, 25, went undrafted out of Shippensburg in 2014. The defensive end worked out with the Eagles, Giants, and Lions, but he ultimately landed with the Soul. In 2016, Metz established himself as one of the top defenders in the AFL, compiling 22 tackles, seven sacks, and two forced fumbles. His performance led to him receiving the Arena Football League’s Defensive Lineman of the Year award. As Rob Tornoe of Philly.com notes, this wouldn’t be the first time that the Eagles snag players from the Soul. In 2012, the team added Anthony “Tiger” Jones, although the receiver was released before the start of the season.